Habitat: Madagascar, Mauritius, Reunion, Seychelles, Pemba Island (Tanzania), Indonesia, Malaysia, Philippines, North Queensland. This member of the Convolvulaceae family was given this name by Elmer Drew Merrill in 1917. 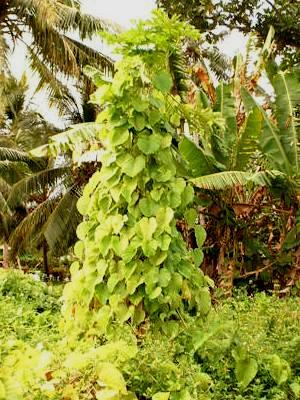 It is found in most of the Pacific costal area, covering forests. It grows in a rich soil with plenty of water and some to lots of sun. The vines will reach for 30 meters, the flowers are white to yellow.